The lifespan of the resin is up to 10 years if it’s regenerated as needed and is protected from chlorine if present. Otherwise, the lifespan may be shorter. I have no idea why I wasn’t able to find your products before now but oh my God, thank-you. I used your testing kit to find out our hardness level was 7. My hair was dry, breaking, dull and just awful. No matter which clarifying shampoo I used, I still had to rinse with hard water. My skin was a mess – dry patches, itchy and red – just miserable. My husband installed the shower stick in less than 5 minutes and I said a little prayer before taking the first shower. I could instantly tell the water was different. I used to have to almost work the water into my hair and shampoo never lathered or rinsed well but this was so different. I was so happy and my hair is full and shiny, free of shampoo and residue. THANK-YOU! I know other systems cost thousands of dollars and you need to buy bags of salt. That didn’t sound feasible for us. Again, thank-you!!!!!! I cannot begin to explain how passionate I am about this product. In short, no single product has improved the quality of my skin and hair the way the Shower Stick Water Softener has. My journey to discovering this product began about a year and a half ago when I moved to Central Illinois. After living here a few months I noticed my sensitive skin had become dry and irritated and my eczema had never been worse. But what was more frustrating was the fact that my hair had become a frizzy, coated disaster and I had become truly embarrassed by how bad it looked. I soon discovered this was all due to the horrible water quality in my area. I spent close to a year purchasing different filters with reasonably good reviews on amazon and was constantly disappointed. It wasn’t until I was given the Shower Stick as a gift that these issues were FINALLY resolved. The only reason I didn’t purchase this product sooner is simply because I didn’t know it existed! It was just night and day. My hair now looks better than it ever has and my skin is back to its baseline and I attribute this to Shower Sticks. I know anyone can write whatever they want on the internet, but I just really want to express that I am a real person who had these real issue and want to communicate that this product sincerely does everything it advertises, softens water by removing heavy metals, and IT DOES WORK! Like many others, I’m a very busy person who frankly doesn’t have time to leave product reviews but the Shower Stick has honestly made such a positive impact on my life that believe it’s the least I can do. I have been using the ShowerStick for about 3 months now and completely love it! I suffer from seborrheic dermatitis and recently moved to an area with hard water that was causing my skin to flare-up. I tried multiple different shower filters but none of them worked because they didn’t actually soften the water. The ShowerStick has completely solved this though! The water is soft and you can feel it because of the slippery feeling you get in your hands when using soap or shampoo. The flare-ups completely disappeared and my skin is back to being healthy! The other reason I would highly recommend this product is because of the service you receive. Since purchasing, I’ve contacted Lisa at least 5-6 or times by phone/email to ask questions I had about the product. In each instance, she replied promptly and gave such a thorough and honest answer that it felt like I was talking to a close friend who was genuinely concerned about what was best for me. I never expected to receive this level of customer service and am so happy to have come across this company. Thanks for everything Watersticks, you’ve earned my loyalty! Hello, I think this is the first time I’ve written an email expressing my love for a product. Words can not express how grateful I am to have found the ShowerStick. I moved to central Florida three years ago and had issues with my previously healthy skin since day one. Constant breakouts, dry, itchy patches, and redness. On top of that, my hair was dry and brittle, color wouldn’t keep, and there was always build up on my scalp. I’m only 27, but attributed it all to getting old. I thought this was it! I moved to a different city two years ago (still in central Florida) and my problems only became worse. I was in constant discomfort, extremely frustrated, and was losing hope. I saw multiple dermatologists, and spent hundreds (honestly, possibly thousands) on skincare products. I was diagnosed with multiple types of acne, dermatitis, and possibly rosacea. I was put on antibiotics, given handfuls of creams, and was told to follow ridiculous routines that only irritated my skin further. I tried water filters with little to no luck, but had never thought that hard water may be the culprit. I started looking into water softeners, but currently rent so am unable to install my own. 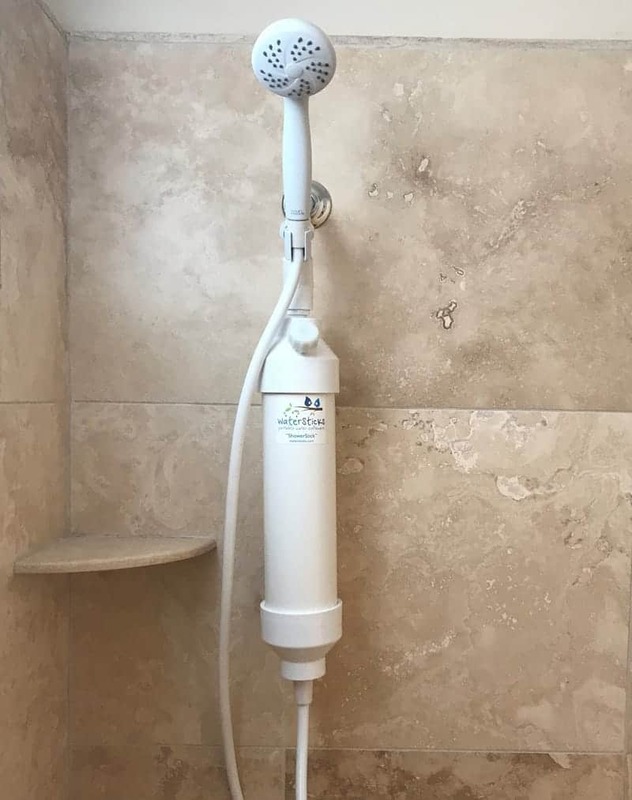 I came across the ShowerStick on Reddit. I started reading about hard water symptoms, finding myself relating to every single one. Without second thought, I placed my order. Here I am, only 2 weeks later with skin that is almost completely clear, hair that has life again, and so much more confidence and happiness. (By the way, our shower water tested at 17 grains before our ShowerStick!) I cannot thank you enough for creating such a wonderful product. I tell everyone about it every chance that I get. I’ve even converted my boyfriend who didn’t think we would benefit from a filter (nonetheless a softener!) into a soft water fan for life — his beard and skin are “super soft” now. Thank you, thank you, thank you. Truly. I moved into a rental with heavy iron in the water during the summer of 2014. My hair became dry, brittle, and discolored. My hairdresser told me that I would need to stop washing my hair with the well water, or I would need to look for a wig to wear, as it was breaking and falling out. In October, I purchased the ShowerStick Shower Water Softener with iron control. This is a great product, and easy to use. I have no regrets with the purchase, and after 2 years, the ShowerStick is still working well. Thank you for a great product! Just wanted to send a quick THANK YOU from Orlando, FL! I bought my showerstick in January and have loved it from day one. Ever since moving here I’ve had a big problem with seborrheic dermatitis and struggled with a very temperamental and painful scalp. 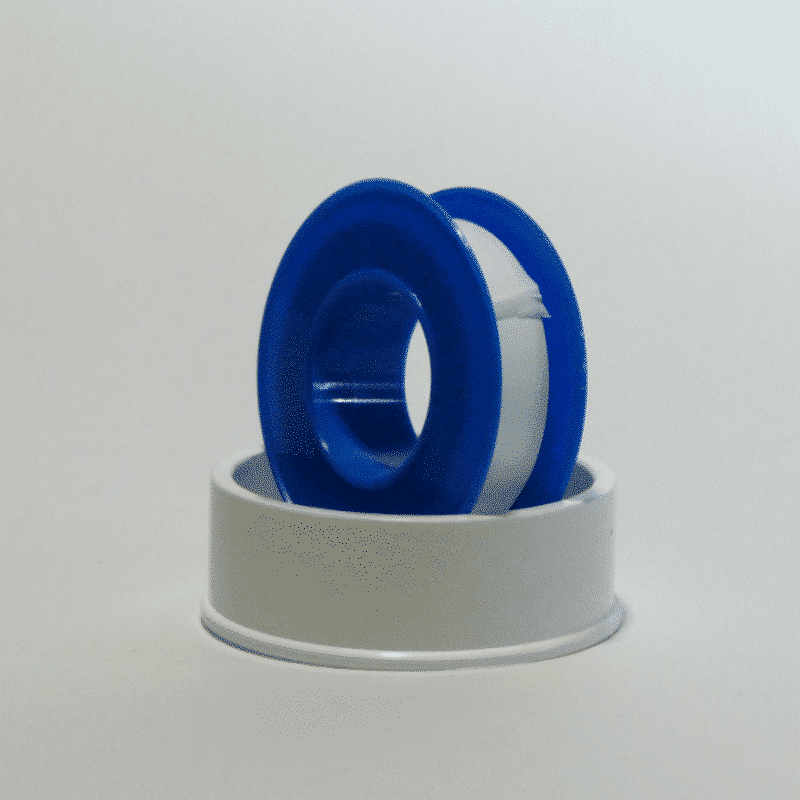 Soft water from the showerstick has improved this dramatically, I am no longer in constant discomfort from harsh water and an inability to remove product from my hair. I wouldn’t hesitate to suggest this to anyone with similar issues, it has truly made my life much more simple and comfortable. Thank you so much! I just wanted to thank you and your company for this incredible and unique piece of equipment. It has completely changed my shower (and my life, to be honest). I no longer fear my shower! My skin and hair aren’t just back to normal when I get out of the shower, but better than a regular shower! I only wish I had a showerstick installed in EVERY shower I use Thank you all so much for working with me. I am so, so happy that I bought this. Everything has been great and simple through the install and the regenerating. I cannot say thank you enough! Our ShowerStick arrived the other day and after setting it up and taking my first shower – I couldn’t be happier. Thank you for taking the time to answer my million questions, and even giving me extra information on top of all that. It took all of about 10 seconds to notice the difference in the water. As soon as I got my hair wet, I could tell the water was actually rinsing it instead of depositing more stuff in it. My skin did not have that gross sticky clean feeling and it was not tight and itchy when I got out. My only regret is that I didn’t know about this sooner. I think the ShowerStick will probably pay for itself in the first year with all the shampoo and soap I’ll save by not having to put more and more on trying to achieve a lather. I truly thought it was the heat and humidity that affected my skin so badly when I moved here. Then I was sure it was something in one of the products I was using. Then I bought too many lotions to count with every essential oil you can think of. I could not get my skin to go back to normal. It would be red and inflamed as soon as I got out of the shower. When it was really bad I would avoid showers (and subsequently everyone else) but it never occurred to me that it could be the water itself. You are a lifesaver. I could never afford a big system and we rent anyway. This really is the perfect solution. Thank you. Please feel free to use any portion of my email in your reviews on your site. Thanks again! Thank you Watersticks for solving a problem that has plagued me for years. I had tight red burning skin with eye discharge, indicating an allergy. I also developed psoriasis. It was painful and visibly upsetting. I visited many doctors, who prescribed steroids and topical creams, but nothing worked. Finally, one doctor had me tested for common allergens found in hard water. Turns out, I was positive. I quickly realized it was the hard water that I was showering in that was the culprit. Because I live in an apartment, a permanent water softener was not viable. Fortunately I found the portable Waterstick. It was easy to install and simple regeneration maintains the product like new. Within a few days my skin irritation resolved and I have had no problems ever since. I highly recommend the Waterstick if you have skin irritation and have had no resolution with doctors. I just want to say a massive THANK YOU! I would probably not be able to continue living in the UK if it wasn’t for your shower water softener. I am a Swede who is used to soft water who now lives in the UK with very hard water. My skin cannot handle the hard water and living in a flat with hard water I was getting more and more devastated and worried…until I found your website. First I thought it was too good to be true but I read more about the shower water softener on your website and ordered it. I had nothing to lose. It arrived and I was a bit worried that the shower fittings would be a problem as it is an American product and I live in the UK. I had no problems at all with this. It all fit perfectly. I have now used it for 3 weeks and it really has saved me and my skin. You are amazing and I would recommend this to anyone who lives in a flat. I could not be happier. Thank you so much! I wanted to let you know that I am so happy with this purchase. I’ve been using the Waterstick for 2 months and it is saving my hair! I have lived in the Northern Virginia/DC metro area for over a decade. I have always had difficulty with my hair drying out, breaking, and looking dull. After several years in this area of horribly damaged hair, I realized that the culprit was the water. It is so hard and chemically treated, and it was ruining my hair. I had always had long, soft, shiny hair growing up and into young adulthood, and I craved to have that back. A few months ago I started researching for a solution to the area’s hard water problem. I know that houses can have water softeners, but living in the city means that I am confined to small apartment living, which means no water softener for me. And then I came across Watersticks – the portable water softener that is perfect for apartment living. I immediately ordered it and have been so happy ever since installing it. 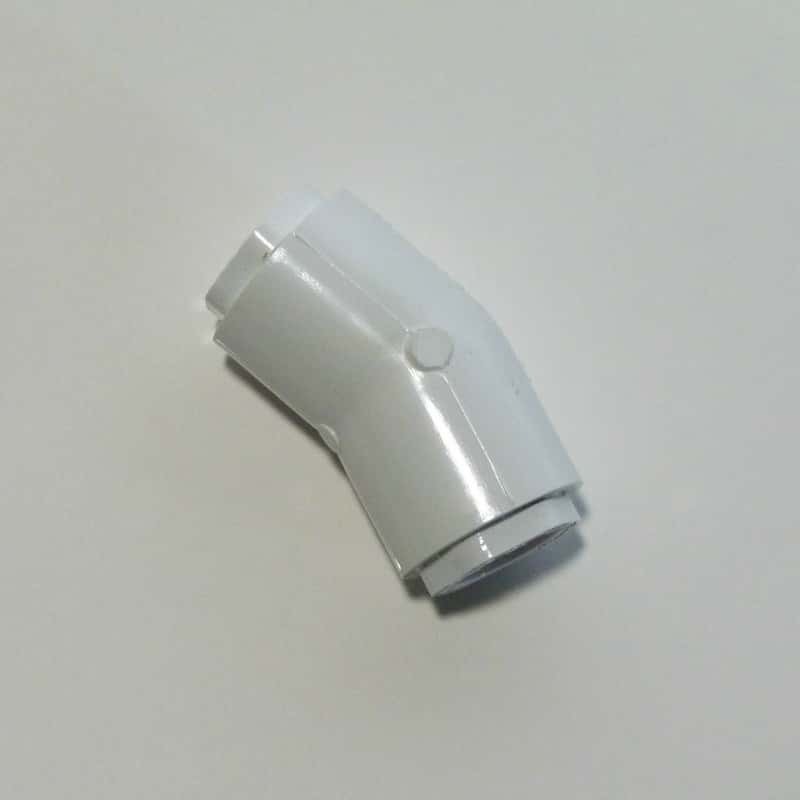 The directions for assembling and installing the Waterstick are very easy. I am not handy at all, but was able to do it in about 15-20 minutes. From the first usage I could feel a difference on my hair and skin. Regenerating is easy, and I tend to do it frequently (every 4 showers) because I try to maintain a zero hard water flow. I take long showers (15 or so minutes), and I have very strong water pressure (so a lot of soft water is pushed through rapidly). 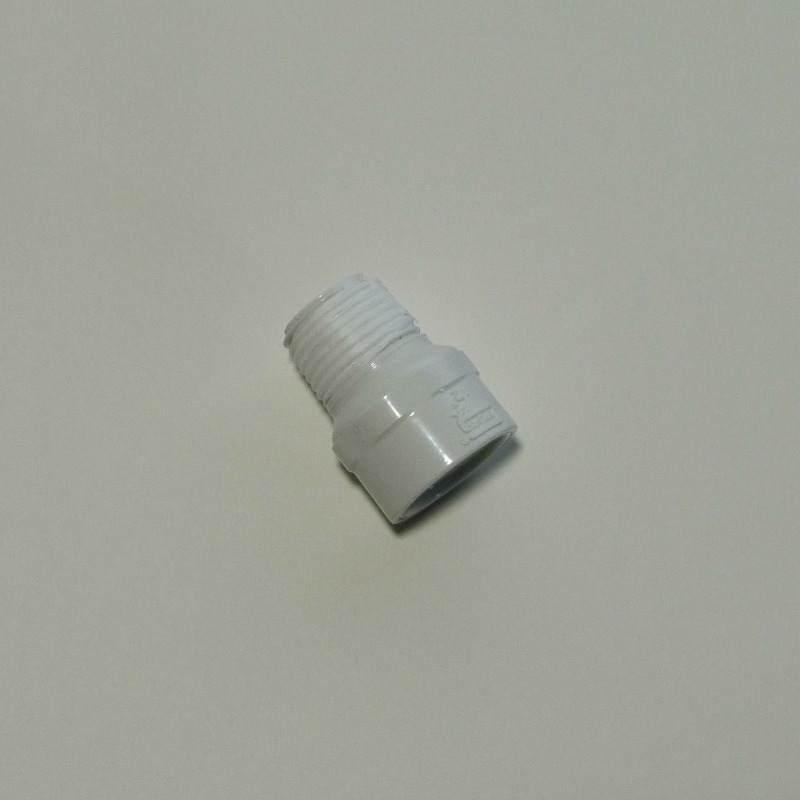 I am now ordering the flow control valve to help the soft water last longer. But even still, this is the best purchase for my hair. Thank you, Watersticks! I don’t even know where to begin. A year ago, I was consistently complaining about my eyes being dry. They were constantly itchy and I could hardly get any work done on my computer because I could hardly keep my eyes open. First I thought it was my eyes. Then I though it was the weather. Then things got worse. I noticed my hair never looked clean despite showering every single morning. It would look dirty immediately after drying. In addition to my eyes being always dried out and my hair looking nasty, my leg skin looked like an albino alligator and my forehead/eyebrows were so dry even after putting lotion on throughout the day. One day, I had a mental breakdown. I was crying and flipping out about the issues I was facing. I was doing research when someone mentioned similar symptoms as I was having and it was all caused by their hard water. I knew my water was hard because the white grime left all over EVERYTHING. I read a million reviews online for different products that try and mimic water softener systems but none of them did anything about the calcium. FINALLY I came across the waterstick. At first, I was worried about the price. After another bout of crying, I decided to take my chances. I’m so grateful I did. My husband and I could immediately tell the difference and now when the stick needs to be regenerated we can immediately tell. Unfortunately, we have to regenerate pretty often but it’s two minutes of my time that I am totally willing to spare to never feel the way I did a year ago. Since then, we have moved into a new apartment that also has hard water. I’m so grateful to have the waterstick. We didn’t install the stick in the new apartment for a month to determine how bad the water was. What a terrible decision. It took less than a month for my eyes to itch and skin to ache without the waterstick. I can never ever be able to explain how thankful I am to have the waterstick. Thank you so much for making this amazing product and having all the parts needed to keep this product running strong for a very very very long time. This is an investment I’ll never forget. I had my shower stick sitting around my living room for a couple weeks dreading the installation. Silly me. All parts present and in perfect condition. Instructions simple to follow and written in layman’s English. Fifteen minutes to assemble (five of which were finding a wrench in the dark to take off the old shower head). Ran the water through to flush while testing for hardness. At twenty minutes I was in the shower enjoying the nicest shower I’ve had in years! Used half the shampoo I normally do and didn’t need lotion. Bought the giant box of salt from the warehouse club – recharge will cost about 15 cents per week. Sturdy, well built product, fast service, reduced the hardness of my shower from 20 grains to none (I live in the PA mountains). Thanks and regards! 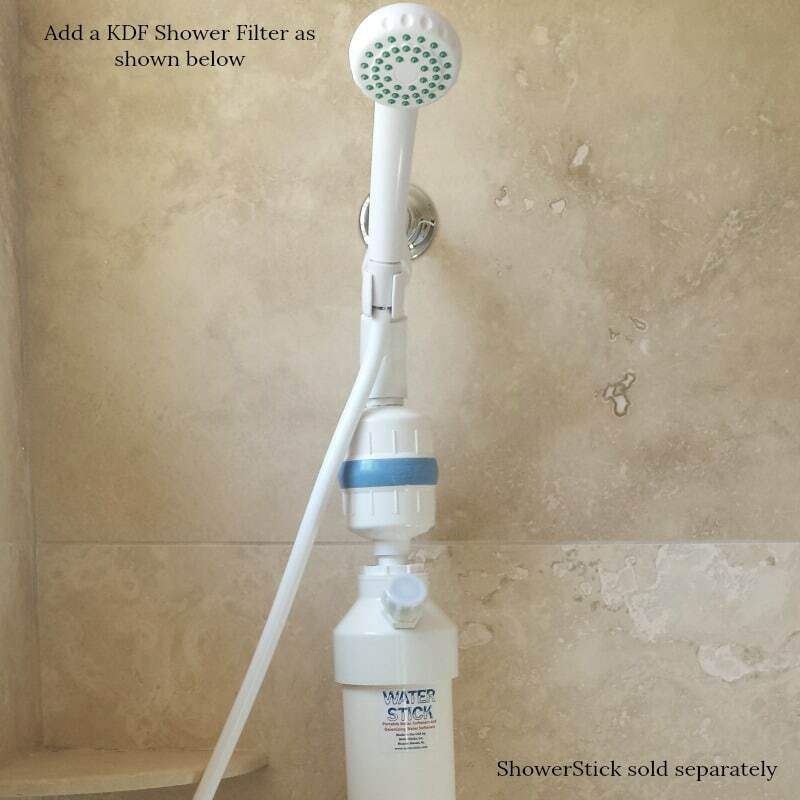 Dear Watersticks, I am writing to you because I want to thank you for offering such an outstanding product, the Showerstick water softener! Last summer I relocated from Virginia to Southern California where my husband is serving in the US Navy. Shortly after moving here I noticed that after showering my skin would feel very tight and dry and that even after washing, my hair never felt very clean (and my guests experienced these same issues). It was extremely frustrating for me having never experienced either one of these problems before. 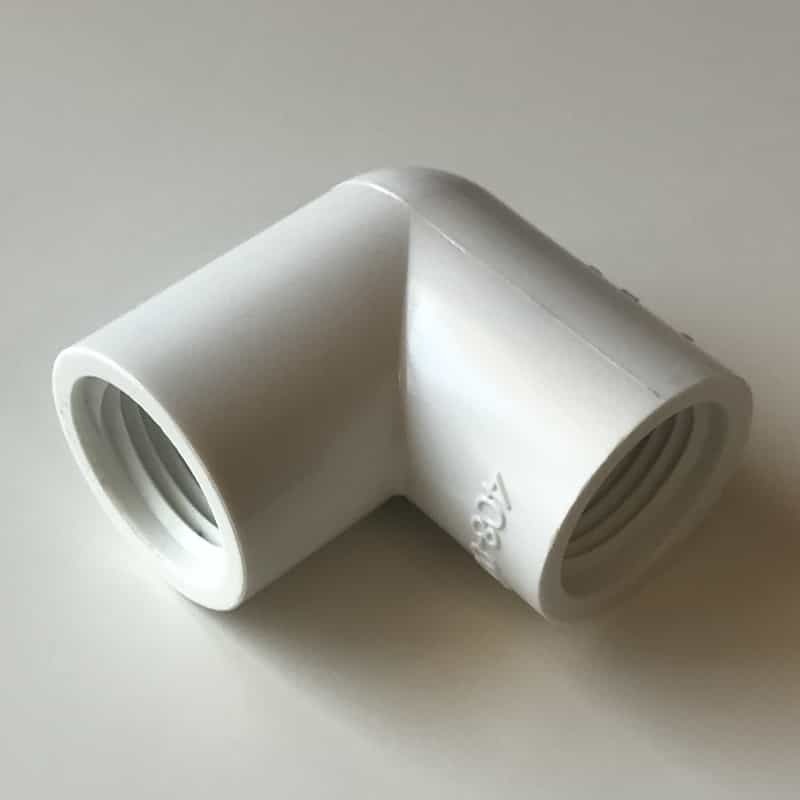 Originally I thought I needed a filter for my shower head, until I did further research and discovered my problem was most likely hard water and that a shower head filter would not correct this issue. Sure enough I did a test and found out that our water registered as “very hard”. I was familiar with whole home water softeners, but living in an apartment, this was not an option. I cannot tell you how excited I was to discover your Showerstick water softener! I’ve been using my Showerstick for about six months now and it continues to be a lifesaver for me! I regenerate it with ease when necessary and recommend it to all of my friends! Thank you so very much for offering such a wonderful, wonderful product. I wish your company nothing but the best! Dear WaterSticks, I just wanted to write a quick email to sincerely thank you for a great product! After installing the portable water softener in my shower, I am so happy to say that my hair finally feels 100% back to normal after 2 years of dealing with the effects of hard water in my house. When I purchased your product, I was skeptical that anything could solve this problem. Within 2 showers, my hair and skin feel great again! Thank you!!! In addition, I was very impressed with how easy it was to install the water softener – thank you for providing clear instructions. I have already recommended your product to a number of friends who also deal with hard water. Keep up the great work! Dear Rick & Lisa, Wanted you both to know that I had my first shower with my new Showerstick and I LOVE it. We had to deal with a little glitch but my husband glitch-fixed it and we’re good to go. The shower pipe in the master BR is about 12+ inches higher than in our other bathroom (where our old showerstick is installed) so the water spray was too high (hitting hair and over head). My husband took the nozzle off, got an adaptor at the hardware store and attached our old shower-head, that had an adjustable neck on the shower head and it works perfectly. I love the flow control knob and felt very “green” and conservative :>) using it. I tested both my ShowerSticks with the tester-kit and really like that I don’t have to guess when regeneration is necessary. I really loved doing business with you and appreciated your almost instant replies to my concerns. Let me know if you would like a “happy customer” note. Best and blessings. 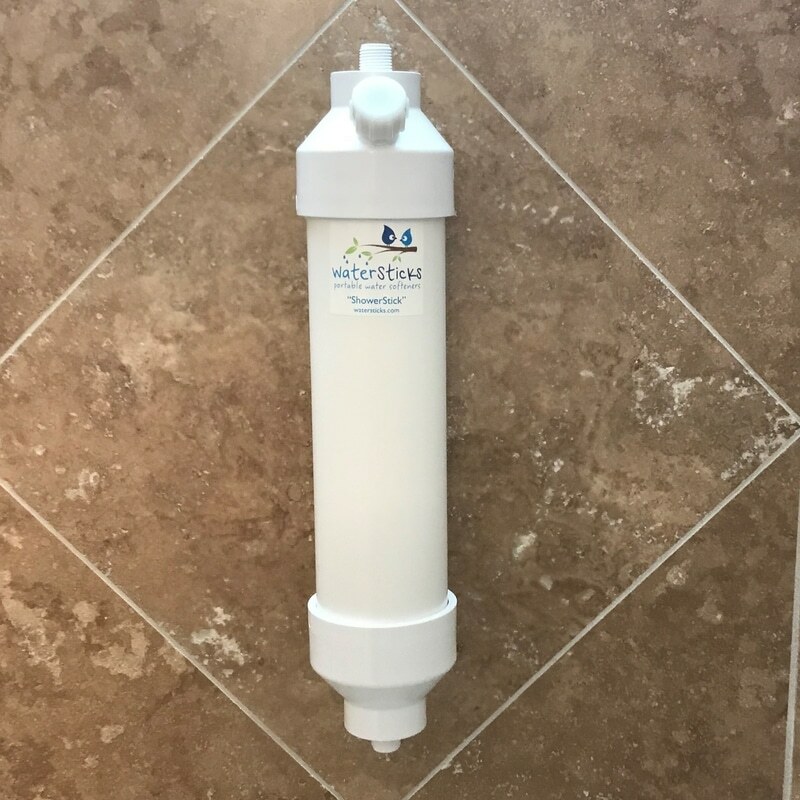 Dear WaterSticks, We have been fighting dry skin every winter, we live in Michigan and the winters are dry and the water is very hard; I later confirmed that with your handy hard water test kit. I knew that our apartment had hard water from the beginning because when I drank it, it made me even more thirsty! Every winter I get dry patches on my shoulders and my hands and face become so dry it hurts. I even purchased a high output humidifier and we still have dry skin. Thank you for a great product that actually softens the water! I put the Waterstick to the ultimate test, I took a shower and did not use any of the in-shower lotion or use any face lotion after my shower. On the very first shower, not only was my face and body not dried out as it usually does, but I noticed while I was reading in bed that the dry patches on the side of my shoulders are now completely gone; I no longer smell like a girl after I shower from all the lotion! I also noticed that my wife’s hair is not everywhere anymore, it used to be in the drain after every shower and all over the bathroom floor after she brushed her hair, the softened water has made it stronger so it doesn’t break or fall out anymore. You should sell these things at a mall kiosk or something, the results are that of an infomercial! Thank you again! My experience with the Stick was wonderful. Its a lot better than the expensive brands you can buy for $3000.00 or more. I also find it helps with certain health problems, like skin Yeast infections, and Psoriasis. The little price you pay for your ShowerStick will be the best investment you can ever make for you or your family, plus, not to mention will save you tons of money on soap n shampoo cause you will use a lot less with soft water than you do with hard water. Also it will cut your water bill in half, cause with soft water you use less water than you would with hard water. It’s the best money I ever spent…..I will never regret it. I moved into a great apartment that has extremely hard water (high calcium, hydrogen sulphide, high rust, etc) and despite the damage it will eventually cause to the plumbing and fixtures in the entire building, I was unable to convince the landlord to install a whole-building water softener. So I ordered a Waterstick with rust remover for my shower. I’ve been using it for a week, now, and I can’t believe what a difference it makes! It might sound weird, but showering is such a pleasant experience now, I like to imagine angels singing as I wash my hair! My skin glows and my long hair has the same natural softness it used to have when I was a kid. I no longer need all the additional products I used to use to make my hair look/feel better. The amount of shampoo and conditioner I need to use has been cut in half, so I’m saving a TON of money on hair care products. Not only that, but I’ve noticed that I’m losing a lot less hair while blow-drying and styling, and my scalp feels great not dry or tight. Additionally, the soft, ph-balanced water allows me to feel cleaner, longer. Usually, a few hours into my day, that freshly-showered feeling would be gone, but not anymore! I still feel fresh and my hair smells great even after a long day at the office. The only drawback with this wonderful product: You’ll be spoiled for anything less when you stay somewhere else! The installation instructions were complete and easy to follow, and shipping was prompt. I HIGHLY RECOMMEND this product. Dear Rick & Lisa, We spoke on the phone earlier today and I thought I should leave a comment you can use on your website. I live in an older building in downtown Chicago and the water here is incredibly bad. The first time I showered here it literally burned my skin. I searched high and low for shower head water softeners and WaterSticks was my only hope. IT DID THE TRICK!!! My water is now “normal.” Before I had a waterstick there was BRIGHT RED residue in my shower from the minerals. After the waterstick there is no colored residue. I was worried it would be a pain to regenerate the thing but it is a piece of cake. Just unscrew the nozzle and dump some salt water in! Great engineering at a great price and SO HELPFUL!!! I spent 15 minutes on the phone with Rick at WaterSticks and he patiently answered all my questions. GOOD PEOPLE!!! One happy customer here. THANK YOU!!! Dear Rick, I have recently purchased one of your watersticks and am very impressed by the results, which were instant. I have a skin condition and have not had to use medicated cream since using this product which is amazing on so many levels. Hello Rick, I am impressed with the Shower WaterStick. After I ordered the product, I was planning on what I was going to have to purchase at the local hardware store to install it. I was very surprised to find everything was included. I feel like I ordered bread and was served cake. Thank you very much! Hi Rick, I’m actually buying a shower water softener for my daughter, she is in the Air Force stationed in England. I retired from the Air Force in 2003 and she went into the Air Force 2 months later. I have bought 3 water softeners from you so far, 1 for my motorhome and 2 small ones that I use on misters to keep the back patio cool. I spent 6 months looking for a water softener for my motorhome (1986 Winnebago), but they were all expensive. I spend 4 nights a week living in motorhome at my work location and the water is hard as a rock, your water softener works great and is easy to recharge. Thanks for a great, easy to use product. Thank you so much. The ShowerStick was exactly what we needed for our shower. We’ve been renting a home in Europe for a year and we haven’t installed a water softener because it’s very, very expensive here. We were hesitant about the ShowerStick, but thought we would give it a try. Immediately, after we installed it and showered the difference was night and day. It was just like being back home in the States with our whole-house filter. Thank you so much. Now, we just need to figure out how to attach one to the washer and the kitchen sink. Hello, my shower waterstick arrived on Monday and I can’t say enough about what it has done for our water quality. Our toenails and fingernails had turned orange from showering in our rust filled water. Now, the water is clear, smells good and the shampoo foams up like an eggbeater was used. We are planning on buying three more as we can afford it … a wonderful product, thanks. Hi Rick, By the way, I absolutely LOVE the WaterStick. The water in our area is so bad that we have to regenerate several times a week but it’s really worth it. I have been battling eczema issues for the last 10 years – my doctor even had me try experimental treatments. But I finally figured out it was the water when I went to visit my parents in another city and my skin cleared up. They have a regular water softener at their house. When I came back home, my skin got bad again. The first time I used the WaterStick, there was an immediate improvement in my skin.. Anyway, I’m going to be telling my doctor about it the next time I see him. Thanks for your awesome invention!